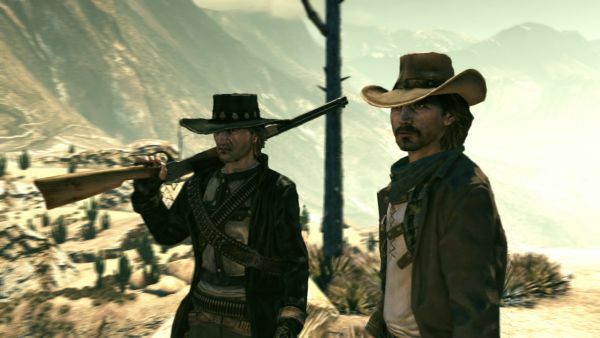 Story is very important in both Call of Juarez games. We didn't want to create a generic FPS where cowboys could be swapped for space marines or navy seals without making a difference. Thus came the decision to focus on the single-player experience and making playing as each of the McCalls a chance to see the story from a slightly different perspective which shifts even more as the rift between brothers grows deeper. We've heard this before - quite recently - and even then it wasn't for the first time. Do you remember when versus multiplayer was cut out for the same reason? Funny...it seems that nowadays competitive modes don't hamper the story, but co-op does. What a disappointing trend that's being set this summer by a handful of big studios; hopefully our wallets will speak loud enough to buck it. For some reason, the stellar 2008 holiday season -- with its plethora of incredible co-op -- didn't provide enough of evidence to some folks that co-op is on the rise. What makes this news even worse for us as Co-Optimus is the theme of the game. Sure, it had a style all its own, but being a part of the western genre and lacking co-op is a double sting. One of our ultimate fantasies -- aside from Nick's weird chicken suit fetish -- is for someone to step up and create an epic co-op western-themed game. Page created in 1.0001 seconds.